I have been researching the Cold War Air Defense of Pittsburgh for 10 years. It started as a favor to a neighbor, whose former farm had been the site of a 90mm gun battery in the early to middle 50's. My neighbor, Pete Schramm, grew up on the farm and told me about the army base there. Pete wanted to know if there was a way to find any photos of the base, as they were told that they could not photograph the site, security reasons. Back in the day when people did what they were told. As a result, I found lots of information about the gun batteries and subsequently the NIKE missile batteries. Sadly, Pete Schramm and nearly all of the NIKE veterans I contacted have passed away. I am a retired police officer with the Ross Township Police Department and an amateur historian and student of military history. I have done public presentations at several public libraries and local college campuses. Although my original research centered around the North Hills Area of Pittsburgh and the 90mm gun battalions, I have covered the entire Pittsburgh Metropolitan Area. Attached is a chart of the Pittsburgh Air Defense, showing units, dates of service, armament, locations, etc. Air Defenseschart of the Pittsburgh Air Defense, showing units, dates of service, armament, locations, etc. 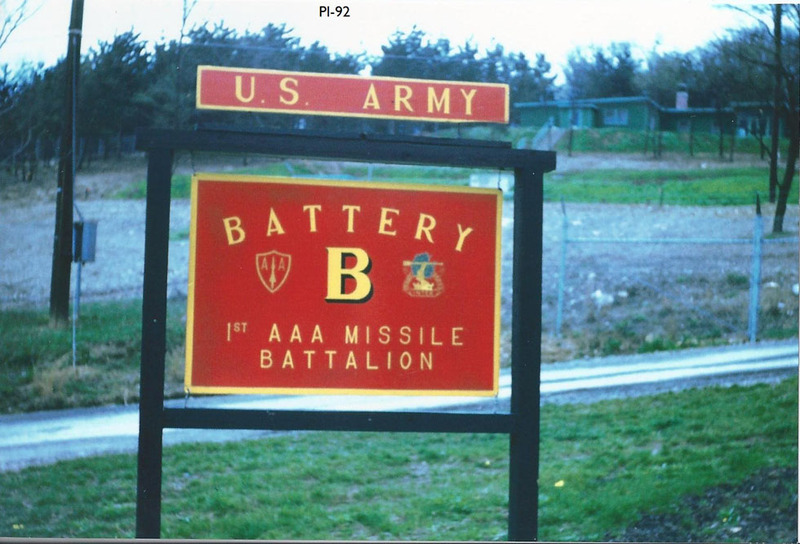 Battery B 1st Missile Battalion North Park (Pittsburgh) PA. Site PI-92L. Now the home of the Allegheny County Police and Fire Training Academy.